Our 18" High Performance V8 Flex Fans for 66-77 Classic Ford Broncos are designed to give you maximum airflow at low RPM, and the least amount of engine loading at high RPM. Unlike a rigid steel fan, our flex fan will not fight against your engine at high RPM's causing diminished horsepower and gas mileage. 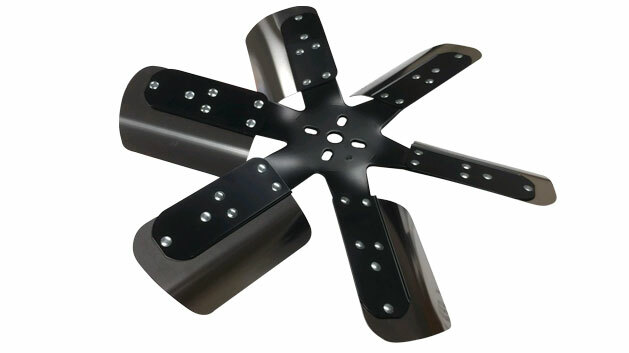 Instead, our flex fan provides LESS RESISTANCE at highway speeds equating to MORE HORSEPOWER and BETTER GAS MILEAGE!!! Fan is rated up to 8000 RPM.